While in Asia for back to back openings in Japan (covered) and Hong Kong (covered), KAWS also had a project he was working on in Los Angeles. 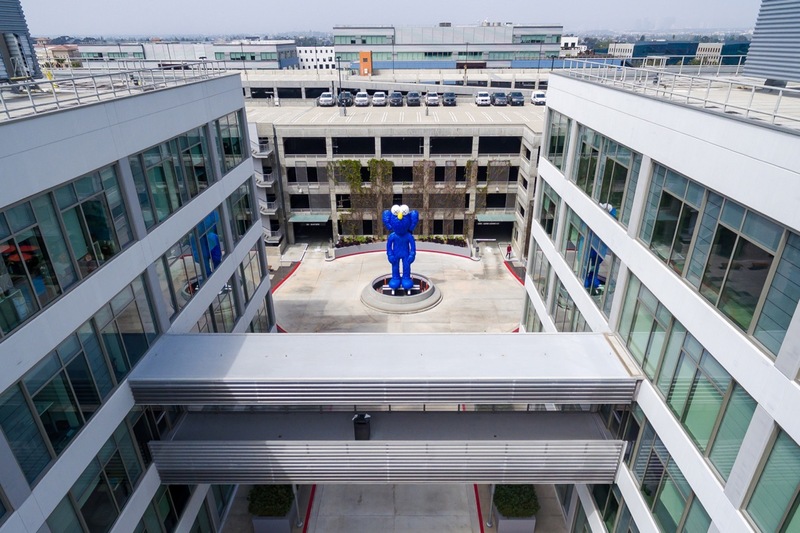 Rising up high in its new home in Silicone Beach, the Brooklyn-based artist’s newest sculptural BFF statue now stands tall in front of a parking structure in Playa Vista. 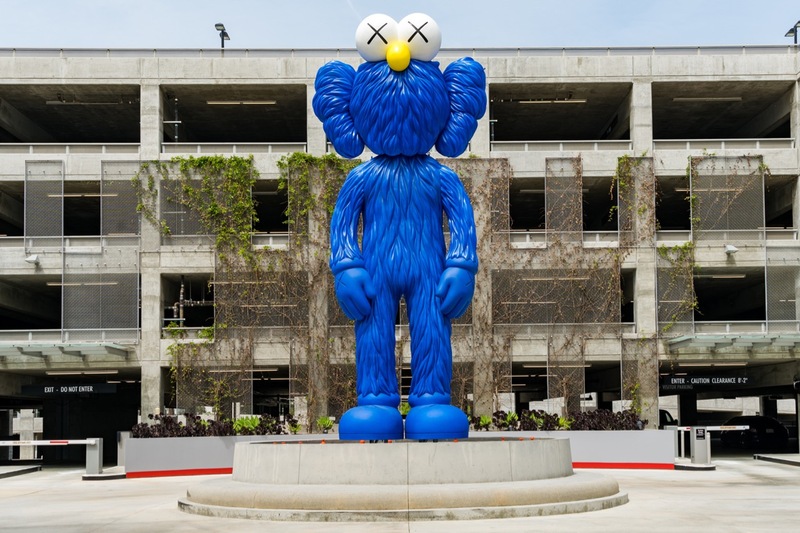 With this piece joining a recent one at the Hamad International Airport in Qatar and a permanent sculpture in Texas, we suspect his fans around the world will begin seeing more and more of these public installations from KAWS show up in their cities. Categories: Contemporary Art, Features, Sculpture, Seen on Streets, Street & Urban Art. 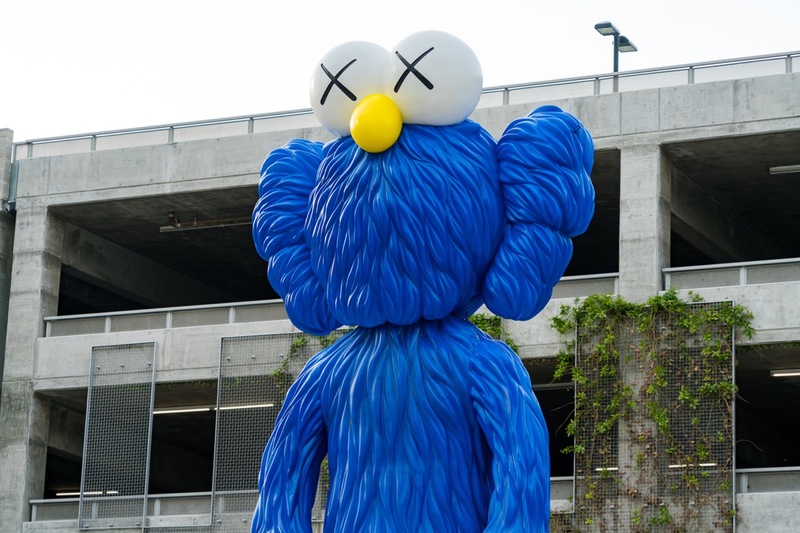 Tags: BFF, Contemporary Art, featured, Features, Kaws, Los Angeles, Sculpture, Seen on Streets, slider-featured, Street & Urban Art.